Out-of-the-box sample assets have been available in the Rational Publishing Engine (RPE) Desktop installation of RPE Document Studio and RPE Launcher for many versions. These sample assets are now included within RPE Document Builder 2.1.1. 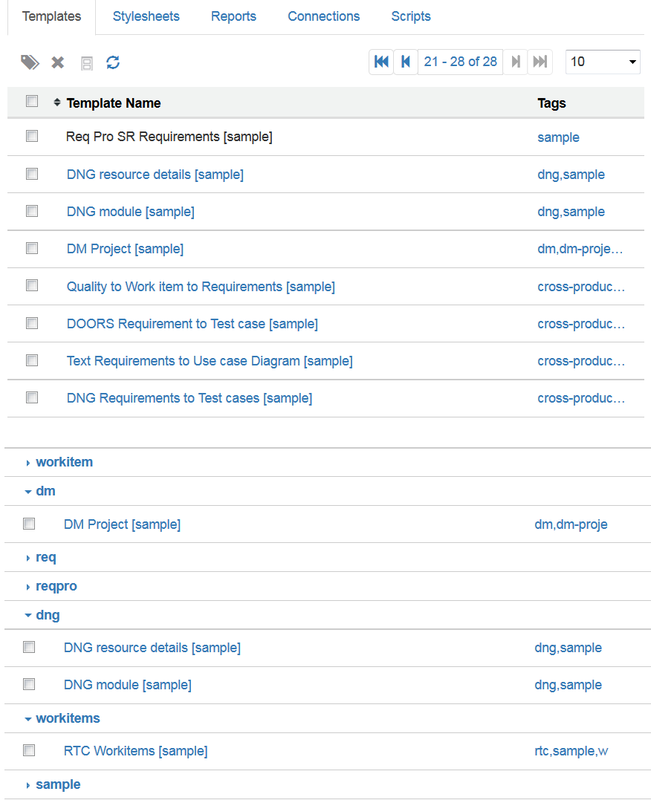 RPE 2.1.1 includes new sample traceability templates that provide a head start on generating cross-product documents. These templates are tagged with “cross-product”. Only RPE Administrator is allowed to create sample assets. Creating multiple copies of sample assets would be warned, but is allowed. RPE Report Designer WILL NOT be able to modify or delete sample assets. RPE Report Designer IS ALLOWED to use sample assets to build reports. RPE Report Designer can download sample assets, modify them and upload as his new assets. All sample assets are tagged with “sample” keyword. All sample asset names are appended with “[sample]”. Sample assets are visible even if ASSET_SHARING_ENABLED is set to false. Disable sample asset creation by setting SAMPLE_CREATION_ENABLED to false. Default is true. The video below demonstrates use of sample assets in RPE 2.1.1 Document Builder. For more RPE 2.1.1 videos, visit the Rational Publishing Engine 2.1.1 YouTube playlist.